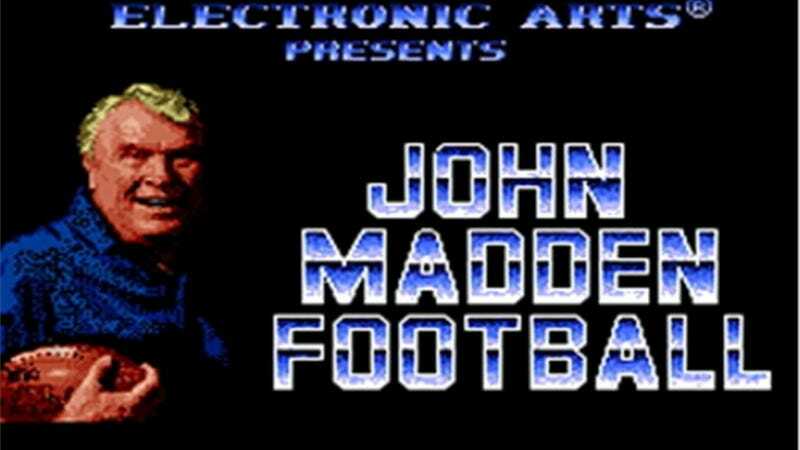 One of the developers on the first edition of John Madden Football is suing Electronic Arts, seeking a handsome cut of the estimated $4 billion in profits the series has reaped over more than 20 years. Robin Antonick, a contracted developer who, in 1986, helped Trip Hawkins build the seminal football franchise with consultation from John Madden, alleges the game currently published today still draws on work he performed, and according to the terms of that contract he's owed tens of millions in royalties. "The complaint and its 20 year-old claim are utterly without merit," Electronic Arts spokeswoman Tiffany Steckler said in a statement to Kotaku. Antonick said he hasn't been paid royalties on Madden since 1992, the year after the series published its first console version, where it has seen its greatest success. Antonick is not credited on that first console version. Antonick alleges that he brought the suit only after publicity surrounding Madden's 20-year anniversary - which was 2008 - indicated that EA "did not independently develop subsequent versions of its Madden NFL software," Antonick alleges, and that the game today is built on work he did. Published reports have said the two sides have been in confidential negotiations to settle the claim. EA disputed this. "We never offered to pay Antonick a penny," Steckler told Kotaku.